The Dive & Sea 5" monitor is a powerful tool for any video shooter. The 5" monitor is the compact version of the larger 7" screen, but is compatible with just about any camera that has an HDMI connection on it. The self-contained housing means that you have less O-rings to worry about. With customizable length cables, focus peaking and wet charging, the DNC-5 is a must have for the video shooter who is ready to get serious. With the enhanced 400 cd/m2 backlight and a 600:1 color contrast ratio, this monitor produces a crystal clear picture and shows colors vividly even used under sun light. Forget having to look through the viewfinder or using your camera's small display. A large, bright external monitor gives you the ability to frame your shots and focus with great precision, the flexibility to swivel and tilt to any angle, and fits practically any housing. Compact, rugged, safe design. The monitor guarantees NEMA 6 (IP 68). Strong and lightweight anodized aluminum shell resistant to salt water. The monitor is sealed and cannot be taken apart or opened. You will never get water or sand inside, or have to worry about properly sealing the monitor after charging it. The peaking focus function lets you instantly confirm which elements are in focus, turning the image black-and-white and marking the sharpest edges of the image with red color. The set includes a detachable mount adapter, allowing the underwater monitor to be tilted and rotated, with 1" ball on the end. Binding V-slots on the top and bottom allow convenient connection with underwater housings and arms, manufactured by Ultralight and Beneath the Surface. It is useful for lighting or an external microphone. There are 4 threaded holes on the top and bottom for accessories. 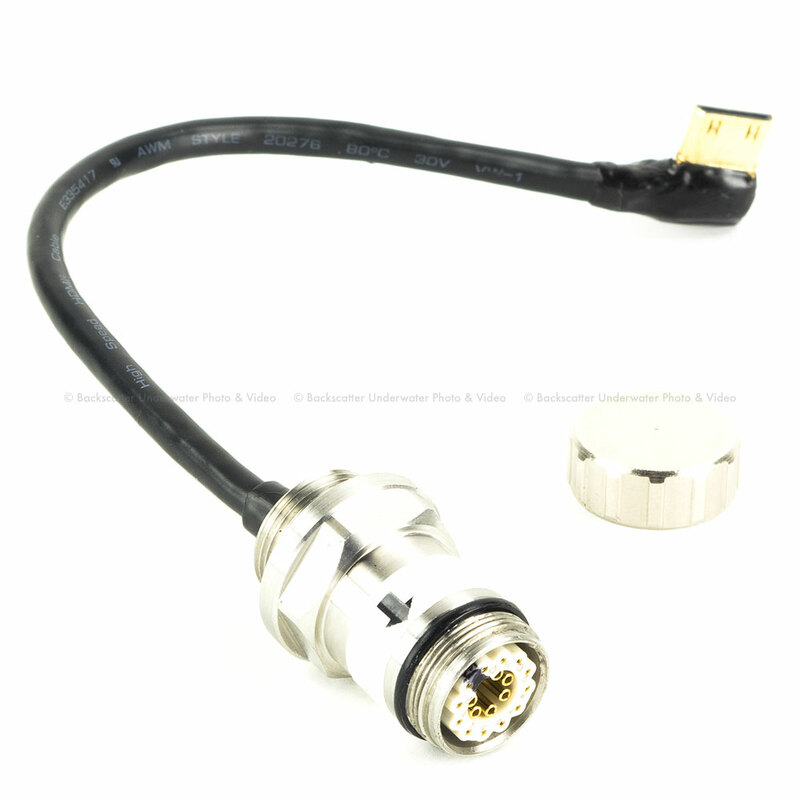 Being a manufacturer allows us to provide custom variations (1/2x20; M12; M14; M15; M16; etc) of the underwater bulkhead connectors for HDMI signal. The are compatible with many video and DSLR housings (see the chart). All of our bulkhead connectors have water blocks and are open face pressure rated to 85 PSI. Our bulkhead connectors fit into existing free ports in your housing and are easy to install. The DNC-5 has a detachable HDMI cable for a quick connection with a bulkhead connector on the housing. The unpluggable cable is convenient for transportation. The bulkhead connector is compatible with DNC-N and DNC-7. 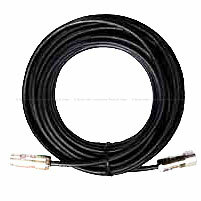 A dual o-ring seals the bulkhead HDMI connector and increases the reliability of the connection. The first o-ring works as an axial seal and the second as a radial seal to assure continued sealing. Custom bulkhead connector, length and other connector types are available. The Switch Guard design of the power button protects the monitor from self-activation during transportation. All push buttons made are from non-corrosive steel. Built-in rechargeable Li-Ion battery with Battery Status Indicator shows the power level of the battery. The flashing mode tells you when the battery needs charging. The charger is capable with 110V-240V input, allowing it to be plugged into power outlets in a number of countries. The Check button on the monitor turns on an LED display showing the battery charge level. Easily navigable, all the functions are accessible through the body of the monitor. Our unique right-angle connector allows our monitors to easily fit with existing photo and video housings. PEAKING: The peaking focus function lets you instantly confirm which elements are in focus, turning the image black-and-white and marking the sharpest edges of the image with red color. SCALING: DSLR scaling allows adjusting the ratio of the video display on some DSLR cameras when the LCD screen of the monitor is not fully covered. BLUE GUN: This function is an advanced feature. Blue Gun to quickly calibrates your monitor to SMPTE color bars to ensure the image youre seeing on the monitor is exactly the same color that your camera is shooting. This mode displays only the blue color component of the image, switching off the red and green.